Modern society has been supported by science and technology. Science and technology have brought our lives many useful benefits. At the same time, however, they have brought both noticeable and unnoticed negative effects, such as frequent occurrences of abnormal weather, degradation of the earth's ecosystems, and the destruction of the rich relationship with nature that our ancestors developed over a long period of time, as well as the loss of values to guide us in life. In such an age, we need to maintain the benefits of science and technology, while at the same time earnestly seek solutions to how we can overcome these negative outcomes. 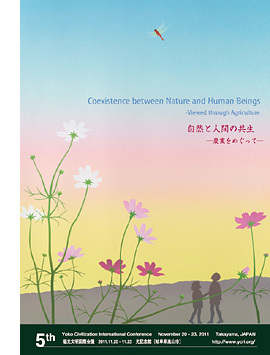 In the conference, we will discuss the way of thinking and the way of life of the coexistence between nature and human beings viewed through agriculture, to find fundamental attitudes with which to approach these issues. 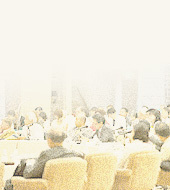 The conference consists of a keynote speech and 8 sessions. There will be one keynote speaker, and each session has two speakers. Observers will be the audience. There may be some opportunity to ask questions when specified by the session moderator.